Please bring your insurance card and a photo ID to your visit. We will scan your cards along with your completed form. 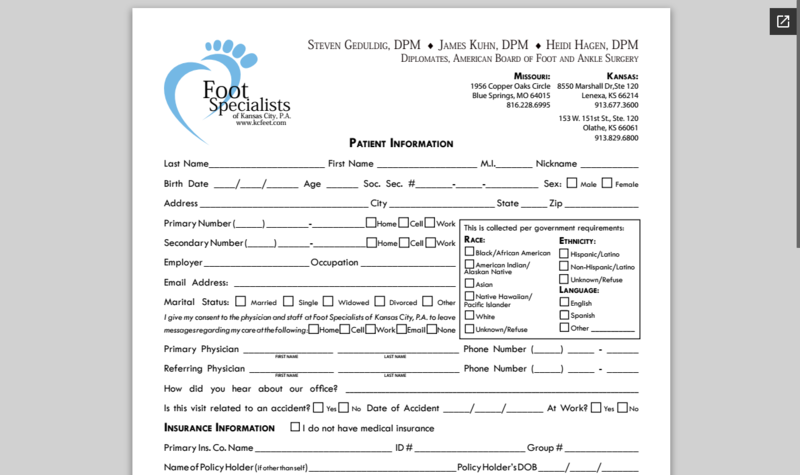 You can educate yourself on your symptoms by reviewing the information on this site and other podiatric sites. Pay attention to exactly when and where your foot hurts so you can tell the doctor exactly what is going on. We look forward to your first visit! Please download the following form, print it and bring it with you before coming to the office. This will help expedite your visit and get you out of the waiting room and into the doctor’s office sooner!